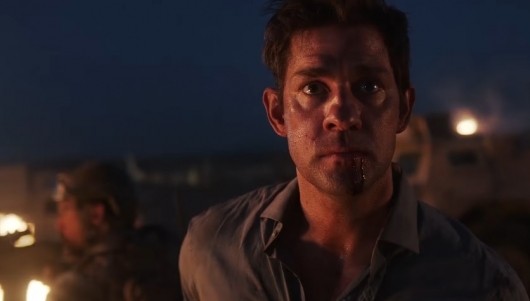 Amazon today announced it has greenlit season two of Tom Clancy’s Jack Ryan ahead of its global series debut set for August 31 on Prime Video. Tom Clancy’s Jack Ryan, from Paramount Television and Skydance Television, is a reinvention with a modern sensibility of the famed and lauded Tom Clancy hero played by John Krasinski (A Quiet Place, 13 Hours). The creators of the series, Executive Producers Carlton Cuse (Lost, Bates Motel) and Graham Roland (Fringe, Prison Break), will continue to serve as Co-Showrunners. Additionally, Krasinski, who also serves as an Executive Producer, will be reunited with Wendell Pierce (The Wire) who will reprise his role as James Greer in the eight-episode second season. Amazon Prime Video subscribers will be able to watch the series right here when it does finally arrive. Click right here for our chat with some of the cast and crew and right here for a recap of the show’s panel from New York Comic-Con 2017. Tom Clancy’s Jack Ryan season one will be released on August 31st.